I had a choice during my Sunday conversation with our navigator- in- chief on where I wished to go on Monday. 1/ A local walk near my home. I chose the latter – an adventure means that Terry has not done this before and paths may not be where the OS says they are. 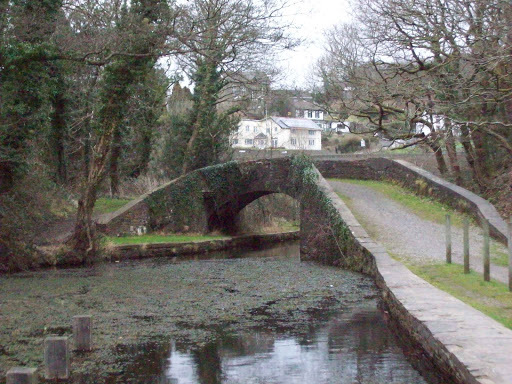 We parked in Tonna next to the Tennant Canal. From here there is a complicated array of bridges, new and old. 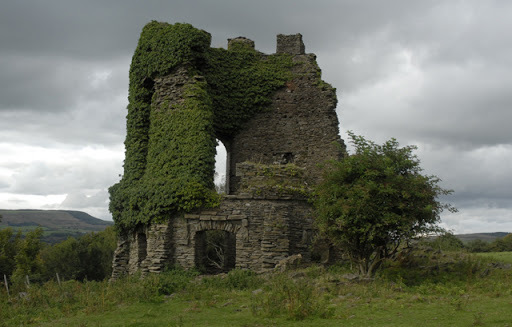 Finding ones way through the urban area can be a problem but we found the path which leads past the Ivy Tower 776984 the ruin of a former two-storey castellated tower built (circa 1780) by the architect John Johnson for the Mackworth family of the Gnoll Estate, Neath. 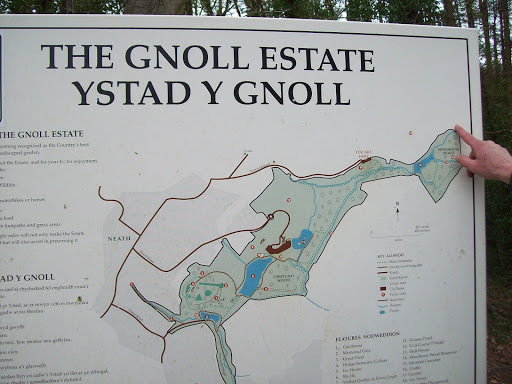 We found our way into the Gnoll Country Park voted as the Best Picnic Spot in Wales in 2010 in the Warburtons National Picnic Awards, and which is surrounded by a beautiful 18th century landscaped garden which retains many of its original features, including the impressive Gnoll Cascades. We had a coffee break here although not enough to qualify as a picnic. From here we re-entered suburban life and walked into Cimla and found an unkempt footpath leading to Crythan Brook. Another footpath then led down this brook again leading to civilization. We came to the cemetery at 747950 and had lunch just outside Jersey Park. 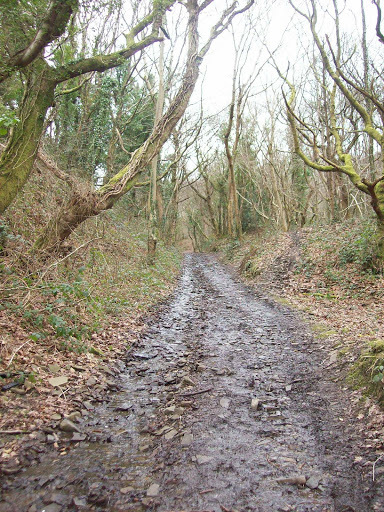 Near here we spotted an incline which used to contain a railway and now known as Rhodfa Clark, named after the wife of the engineer who designed Jersey Park. We met a local who told us that the old line used to be used for storing armaments in the second world war. 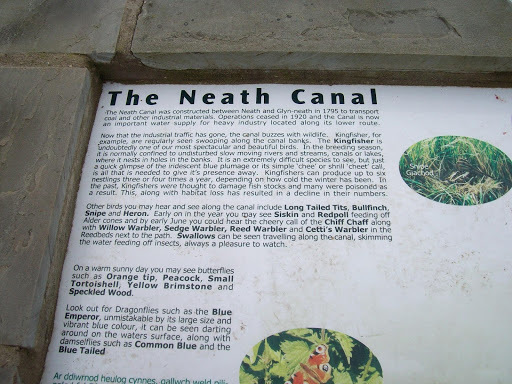 From here we walked into the woodland and then down into Britton Ferry and onto the towpath of the Neath Canal. This was to be our companion all the way back to our starting point. 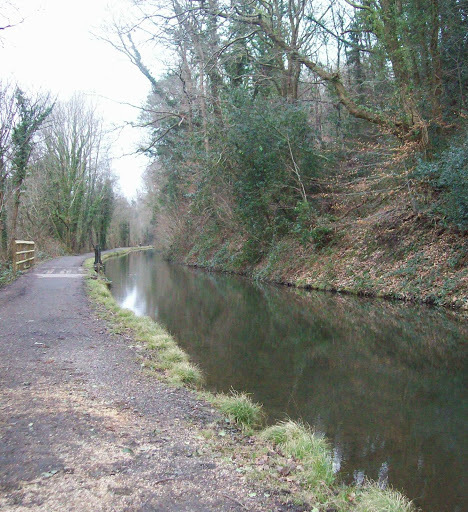 It is a surprisingly peaceful and attractive canal, apart from its short course through the town of Neath. However once through the built up area it again becomes a pleasant walk. 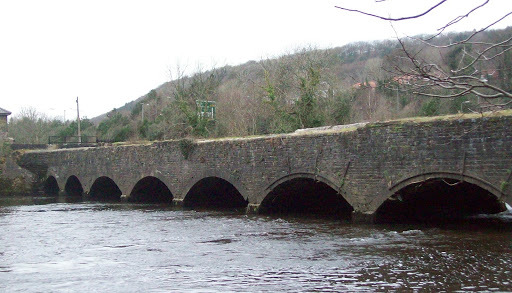 Close to Tonna the canal is joined by the Tennant canal. 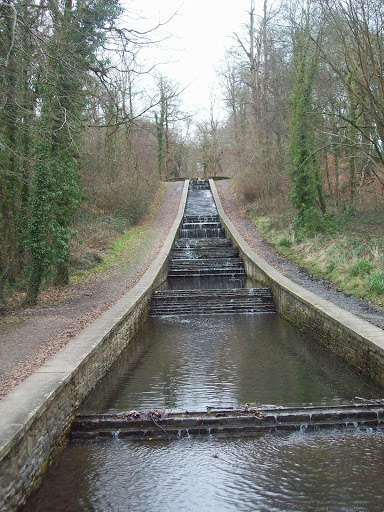 From the basin there is still a well preserved aqueduct which takes the canal over the Afon Nedd although this is closed to the public. 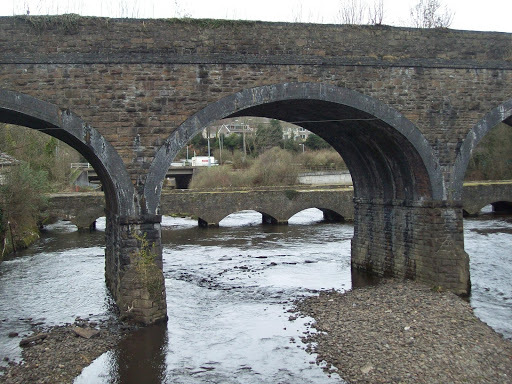 More information about both canals can be found by clicking the link. 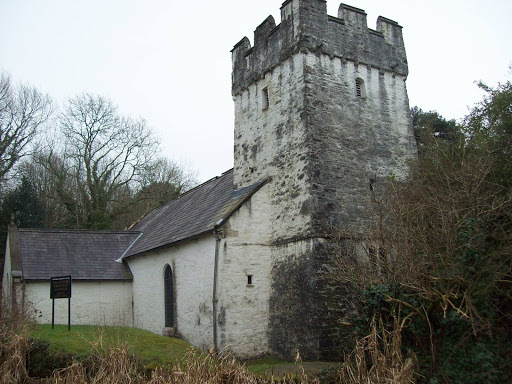 You may well pass by this area when travelling on the M4 or the A466 and not realize there is much to be seen but you would be wrong. Hi, have been reading your blogs etc, having found this post on song of the paddle, which I follow also. I particularly enjoyed your recount of your trip from the lifeboat station to Strumble Head. Is great up there eh! At present I'm a bit of a armchair walker having been out of it for a while. Would like to get back into walking, camping and boating etc. Confidence is a huge thing for me. Was wondering if you'd be adverse to having a extra person on some of your travels. I live in pembrokeshire, not far from the coastal path. Hope you don't find this a strange request from a stranger.